Here’s what’s up in the world of television for Wednesday, February 14. All times are Eastern, all hearts are there for the breaking. 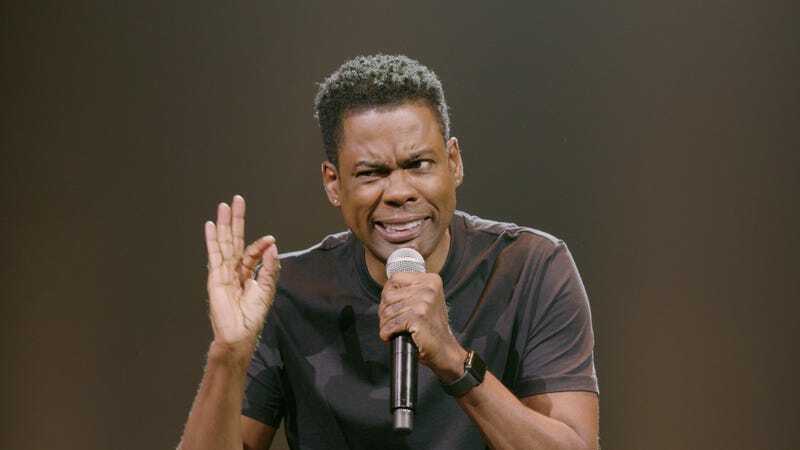 Chris Rock: Tamborine (Netflix): While CBS is throwing out its reality TV stalwarts as counter-programming, the other networks are mostly getting the hell out of the way as the goliath of sports competitions continues to steamroll over anything in its path. But Netflix continues to surprise, in this case quite literally with the unexpected arrival of Chris Rock’s first new comedy special in a decade. (It sure beats the lame Valentine’s Day clips-package “specials” The CW has on tap for this evening.) Dennis Perkins will be here to weigh in on whether one of the most electric stand-ups of the past 20 years has still got it. This Close (Sundance NOW, 3:01 a.m.): The streaming site is releasing all six episodes of the first season of this unusual relationship dramedy, Netflix-style, so you can binge to your heart’s content, should you so choose. Created and written by—not to mention starring—deaf actors Shoshannah Stern and Josh Feldman, the series features the two as best friends, one newly engaged, the other trying to move on from his recent ex-fiancé. We have no idea if it’ll be good, but it co-stars folks like Cheryl Hines and Marlee Matlin, and seems worth checking out at the very least.